The hCG Pregnancy Rapid Test Cassette is a rapid chromatographic immunoassay for the qualitative detection of human chorionic gonadotropin in urine to aid in the early detection of pregnancy. The hCG Pregnancy Rapid Test Cassette is a rapid chromatographic immunoassay for the qualitative detection of human chorionic gonadotropin in urine to aid in the early detection of pregnancy. The test uses two lines to indicate results. 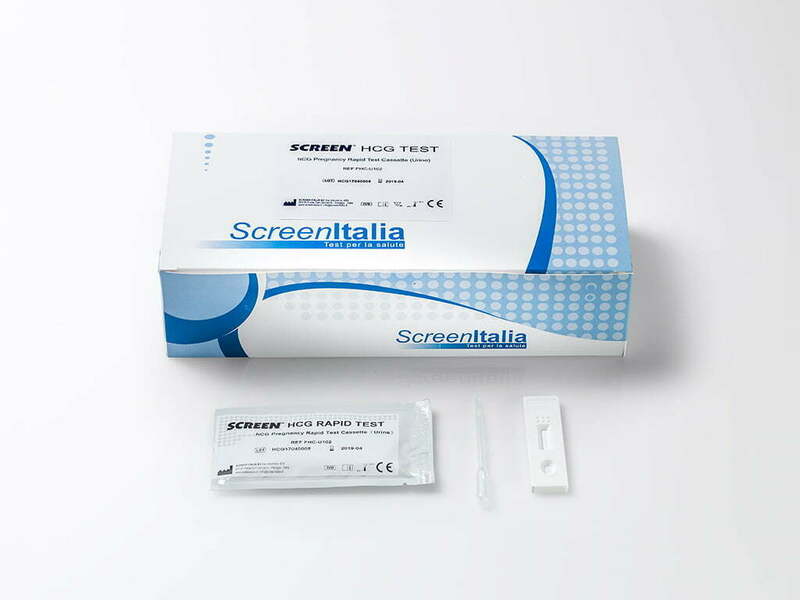 The test utilizes a combination of antibodies including a monoclonal hCG antibody to selectively detect elevated levels of hCG. The control line is composed of goat polyclonal antibodies and colloidal gold particles.